The Democratic Republic of Timor-Leste is engaged in legal action against multinational oil companies Conoco Phillips and others to recover substantial monies it believes are rightfully owed the people of Timor-Leste under legal obligations stemming from production contracts in the JPDA, Joint Petroleum Development Authority. U.S. Ambassador and lawyer Pierre-Richard Prosper has been engaged to advise and represent the Democratic Republic of Timor-Leste on matters related to the Petroleum sector, investment and infrastructure development. After audits by the relevant authorities in Timor-Leste 28 assessments have been made against oil companies. Ambassador Prosper confirmed that “as part of that auditing process they (the relevant authorities) are discovering that there are large areas where there were discrepancies”. “It is a David and Goliath fight”, said Secretary of State for Natural Resources Alfredo Pires, adding that “hundreds of millions, possibly billions” is owed. 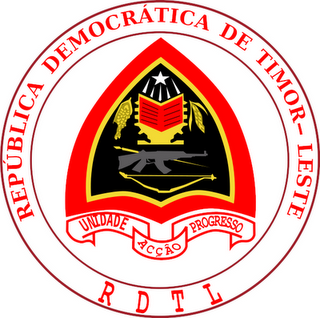 Under the terms of the JPDA, 90 per-cent of revenue is owned by Timor-Leste while the remaining 10 per cent is due to Australia. Ambassador Prosper urged Australian Taxation Office ATO officials to conduct similar due diligence audits of the revenues paid to it so far. Timor-Leste believes that in order for full disclosure and harmonization of taxation in the JPDA it remains in the interests of the Australian taxpayer for a taxation sharing Memorandum of Understanding to be signed between both nations. “In order to do the math, in order for Australia to be fully satisfied that taxes have been paid it is important to know what has, and what has not been paid, because you need the numbers to add up. In other words, there is a piece of the equation that is missing for both Timor and Australia and it makes sense that a tax authority, be it in Australia or Timor, would want to have that complete in order to come to a conclusion as to whether or not all taxes have been paid,” said Ambassador Prosper. Mindful of the current debate in Australia about illegal migration, Ambassador Prosper re-iterated the Timor-Leste government view that there are strategic benefits for Australia in securing the economic future of its near neighbor. A key policy position of the Timor-Leste government is that a pipeline bring oil and gas from the Greater Sunrise field onshore Timor-Leste, to boost the jobs and opportunity in the country.